The elegant Crystal Dining Room or the intimate Vintage Room. The striking Sushi Bar or the delicious comfort of a meal served on your private verandah. 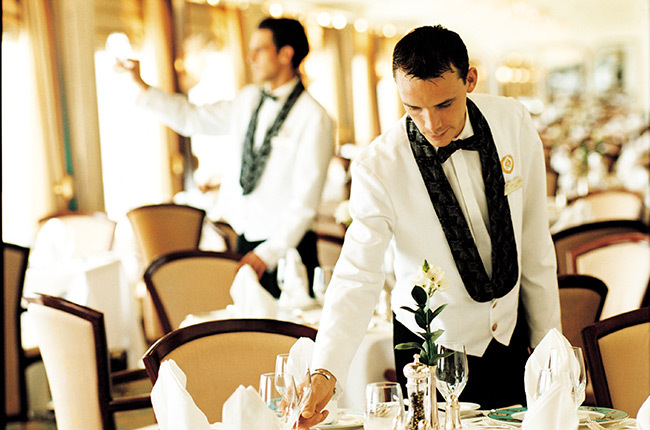 From the extraordinary cuisine of celebrity chefs to the inventive menus created by Crystal's own acclaimed culinary team, dining aboard Crystal Serenity and Crystal Symphony promises to delight and surprise even the most discriminating palate. 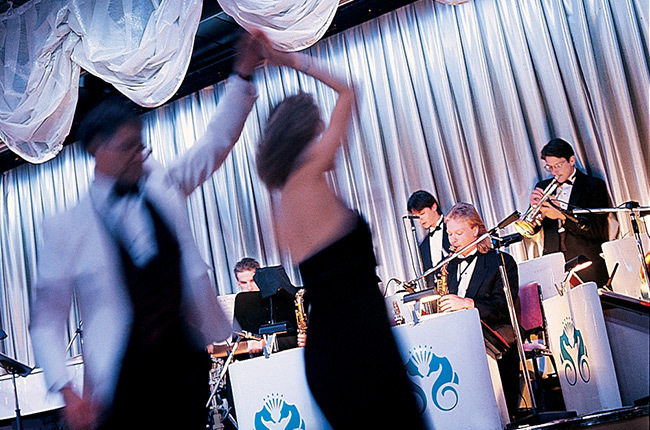 A hallmark of Crystal’s award-winning reputation is our engaging onboard enrichment program, inviting you to leave the daily routines of life behind and open your mind to new possibilities. Discover a new language or try your hand at learning the piano. Learn about ways to protect and improve your health—mind, body, and soul— with our Wellness at Sea® program. Relax, rejuvenate and enrich your mind, body, and spirit with the most comprehensive fitness and wellness offerings at sea. A vacation in and of itself is intended to be rejuvenating, and our fitness facilities are designed to provide an added element of harmonizing enrichment to your travels. 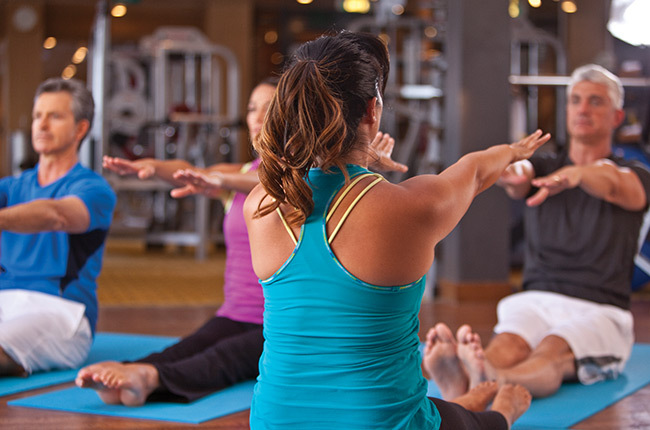 Our extensive roster of specialized programs will help you maintain, or even begin, a fitness regimen while traveling. Nowhere else does the grandeur and serenity of the world come into view more clearly than it does from the sublime comfort and quiet privacy of your well-appointed stateroom or suite. 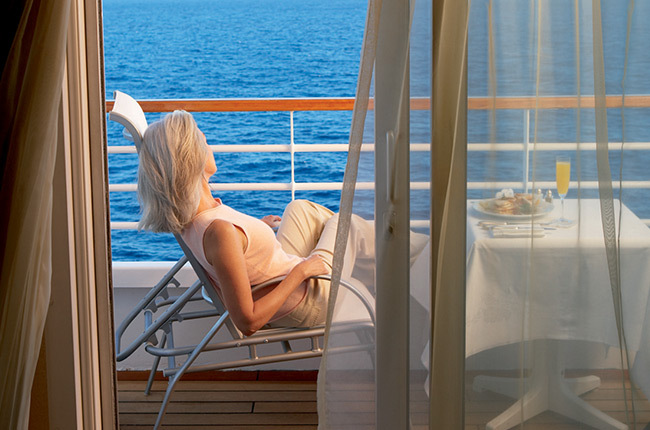 From Frette bathrobes, kimonos, and slippers to a well-stocked refrigerator with complimentary beer, wine, sprits, and soft drinks, and flat-panel TV with DVD-CD player, you’ll enjoy the ultimate in six-star luxury cruising.